What’s new in Chamonix for Winter 2018-19? Winter 2018-19 is promising to be another great season, with new attractions opening and more improvements to the lift infrastructure. Last year saw bumper snowfall with many declaring it the best season in a decade (or more!) and we’re looking ahead to another amazing winter! Two of Chamonix’s ski areas are already geared up to open on weekends in November if we are blessed with early snow again this year. 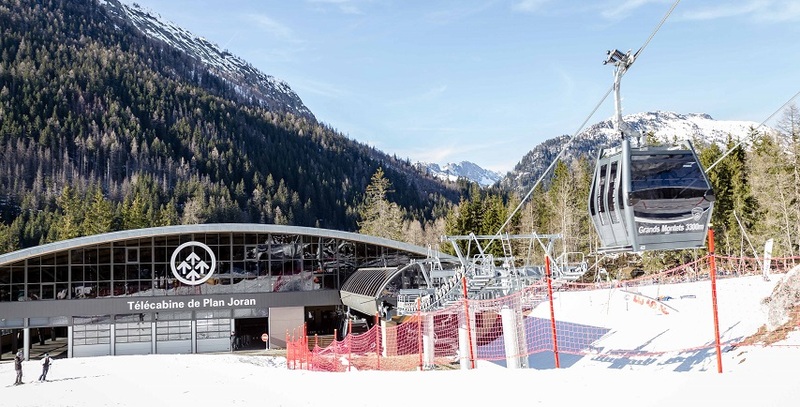 Les Grands Montets traditional early opening has not been affected by the fire at the Lognan mid-station in September (see below), and early snowfall would mean some lifts and runs open for weekend skiing from 17th November. Snow permitting, the same weekend will also mark the start of the season in Les Houches. Full opening of all Chamonix ski areas – Les Grands Montets, Les Houches, Brévent-Flégère and Le Tour – will follow on the weekend of 8th December. The Montenvers train reopens on 5th November, and visits to the ice cave will be possible again from 15th December. By the weekend before Christmas, 22nd December, all installations in the valley should be open, as the Tramway du Mont Blanc starts running again from St Gervais. Traditionally, the Aiguille du Midi also reopens on this weekend, and while maintenance works are currently ongoing, the Compagnie du Mont Blanc is expecting Europe’s highest cable car to be back in business for the winter season as usual. This means that the famous off-piste run, the Vallée Blanche, will be accessible once snow conditions are as required – usually by late January. There has been quite a lot of coverage of the sad fire which happened at the Grands Montets ski area in September. During maintenance on the roof of the mid-station, the building unfortunately caught fire, which could not be put out before some serious damage was done to the cables. This damage has affected the cable car from Argentière to the mid-station, and from the mid-station to the top of the Grands Montets ski area. While repair works are carried out, access from Argentière to the mid-station will be guaranteed by the Plan Joran 10-person bubble lift, which was new in 2014 and was not damaged in the fire. The Lognan cable car had a capacity of 700 skiers per hour, but the Plan Joran gondola alone can carry 3200 and reaches a higher altitude than the cable car at 2138m for skiable access (no walking!) to the Bochard and Herse lifts. The gondola will also offer a return down to Argentière for beginners or skiers with tired legs who don’t want to tackle the red piste Pierre à Ric home run! While the top lift access for Grands Montets and the black slopes from the top will not be available for this winter, there will be ski touring routes opened up so that experienced skiers and snowboarders can access the summit at 3300m and the vast off-piste terrain. All other lifts and pistes at Les Grands Montets will be open for Winter 2018-19, meaning that 90% of the ski area will be skiable. This winter sees the fruit of some serious investment which has been taking place at Grands Montets, to the tune of €10 million. 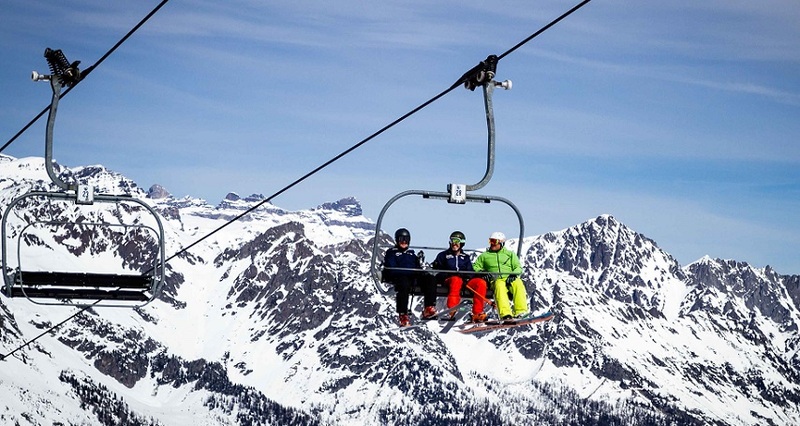 The opening of a new, fast 6-person chairlift replaces the Tabé and the old and rickety 2-seater Marmottons chairlift – your calves will be thankful! It will also allow for access to a new beginner ski area from the Grands Montets mid-station, along with drag and beginners’ lifts. The opening of this beginner-friendly zone means that there are now beginner ski areas at altitude in all ski areas except Le Tour. Even at Le Tour, though, La Vormaine’s nursery slopes are conveniently located just next to the gondola, so you easily progress to the full ski area once you get confident. Chamonix town centre also has its dedicated beginner areas at Le Savoy and Les Planards. The Le Tour gondola (Charamillon) was closed at the end of the summer, and maintenance is continuing to ensure that this lift will be open for the winter as planned. In addition to the repairs and maintenance to the lift facilities, the Compagnie du Mont Blanc has a €447m, 40-year investment plan which it is continually rolling out. Last winter, the Savoy nursery slopes were improved with better artificial snow provisions, and Les Grands Montets also has better snow cannon coverage at lower altitudes now. Thanks to these developments, skiing early and late in the season can be better guaranteed. The home run at Flégère, the Les Praz black piste, has also been enlarged. Corners have been widened and the gradient made more consistent, in the hopes of helping skiers to control their speed into the turns and reduce the amount of snow lost in these areas. After this winter, we will be able to look forward to continued investment in improving access to Chamonix’s ski areas, with new gondolas coming in the next couple of years to Flégère and Le Tour. While many visitors to Chamonix and locals will miss the Grands Montets “top bin” this winter, the offering of lift passes is otherwise undiminished. 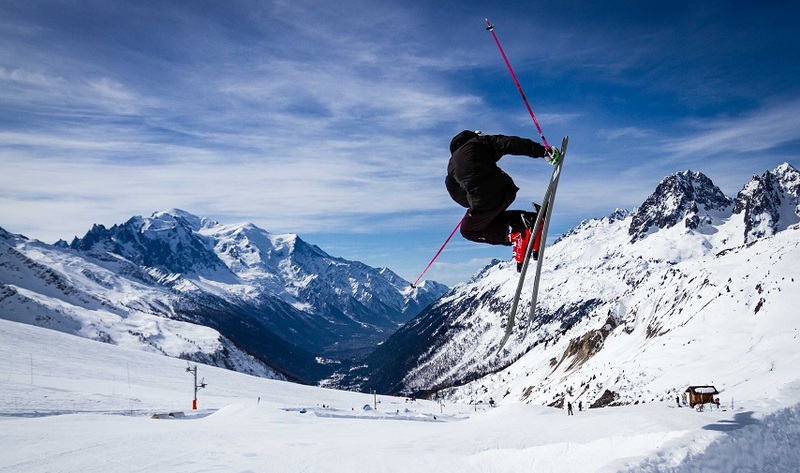 The smaller Chamonix ski pass – Chamonix Le Pass – covers the same areas as every year and is a great option for intermediate skiers visiting Chamonix over a long weekend, as you get three ski areas to explore. Brévent-Flégère and Le Tour are included, as well as Les Grands Montets (excluding top lift). For the full area Mont Blanc Unlimited pass, the incredible 1000km+ of pistes are still included across France, Italy and Switzerland. Not only that but this winter, added extras include free access to the new QC Terme spa in Chamonix and to the Skyway Monte Bianco in Italy! Brévent-Flégère – these linked ski areas offer the greatest numbers of pistes out of Chamonix’s ski areas and are accessible from Chamonix town centre and Les Praz village. Les Grands Montets – Chamonix’s most challenging ski area is home is most famous for its off-piste terrain, but will also cater for beginners from this winter. Le Tour and Vallorcine (Domaine de Balme) – at the top of the Chamonix valley, the pistes here give fabulous views back down towards Les Houches and are great for every level. Megève & Saint Gervais in the Evasion Mont Blanc ski area offer ideal family skiing on miles of pistes. Their Folie Douce après-ski bar on the mountain is not-to-be-missed either! All beginner ski areas are included in the MBU pass. Aiguille du Midi & Montenvers Train – must-visit attractions as well as the starting and finishing point of the famous Vallée Blanche glacier ski run – a bucket list experience for advanced skiers. Courmayeur in Italy is only 30 minutes away and offers great, fun skiing as well as the best on-piste food around! Your MBU also includes the 360° rotating cable car, Skyway Monte Bianco. The public bus or tunnel pass for your own car are both discounted with your MBU pass. Added extras – buy a pass for 3-21 days and get unlimited free access to Chamonix swimming pool, ice rink and museums (perfect for bad weather days), one free descent on the luge every day and one free visit to the new QC Terme spa! The best way to buy your MBU ski pass is to take advantage of our Early Bird offer before 24th November. Find out more in our blog. If you’ve visited Chamonix in the past, you may well have heard locals waxing lyrical about our favourite luxurious day off experience – the thermal spa at Pre Saint Didier in Italy. While the spa is perfect when combined with a ski away day in Courmayeur, the trip through the Mont Blanc tunnel can put people off. Fortunately, no one need miss out any longer as the parent company behind Pre Saint Didier spa, QC Terme, have finally opened their much-awaited spa complex in the heart of Chamonix valley. Located behind the local sports centre, the spa brings the mountains to the heart of its well-being offering, providing an authentic Alpine relaxation experience. Unlike at Pre Saint Didier, the Chamonix spa doesn’t have an all-day buffet to help yourself to. However, if you’re visiting over lunchtime you can add a delicious and nutritious wellness lunch to your entrance (approx. 22€ per person, 12-3pm). Evening visitors can also enjoy the famous QC Terme aperitif, known as the “Aperiterme”. This is included in the entrance price you pay, and while the buffet opens at 6.30pm, you may want to scout the eating area out before that – from our previous experience, we know that the queues can start to form early! Ticket prices vary throughout the week, with discounted entrances available from 5.30pm. Prices start at 44€ for the day. Booking in advance is highly recommended; under 14s not admitted. The Folie Douce name is known across the Alps for their slope-side après ski concept. DJs, performers, singers and musicians light up the slopes in the afternoon, drawing skiers onto their dance floors. Visitors to Chamonix have been able to enjoy the Folie Douce in St Gervais since 2014 (Megève & St Gervais are included on the MBU ski pass), but this winter will bring the action even closer to Chamonix itself. When Club Med vacated the historic building, the “palace Le Savoy”, La Folie Douce bought it up and has started transforming it into their very first hotel. 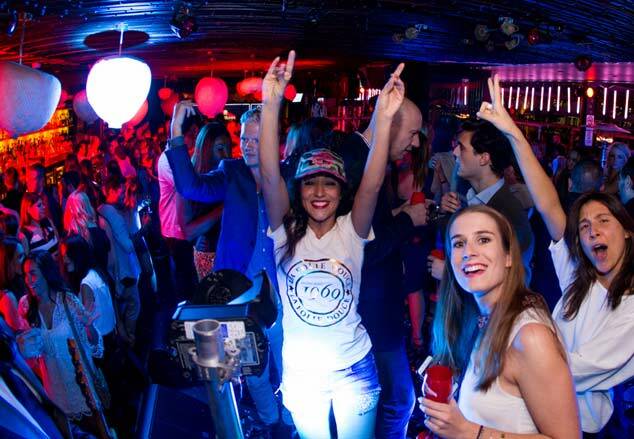 The location will also provide the venue for their new après ski offering in Chamonix too. From 4pm to 8pm, the party atmosphere will bring something new to Chamonix town centre. The question on everyone’s lips is – can it ever rival Chamonix’s legendary après ski at Chambre Neuf?! More après ski on the horizon? Thanks to local websites Chamonet.com, Chamonix.net and Planet Chamonix for keeping us up-to-date with the latest news.